With the PSA World Tour and the PSA Challenger Tour, the association manages almost 1,000 registered players and more than 200 annual events. As the game of squash combines athleticism and skill, this very sport type fuels interest towards its peculiar style. 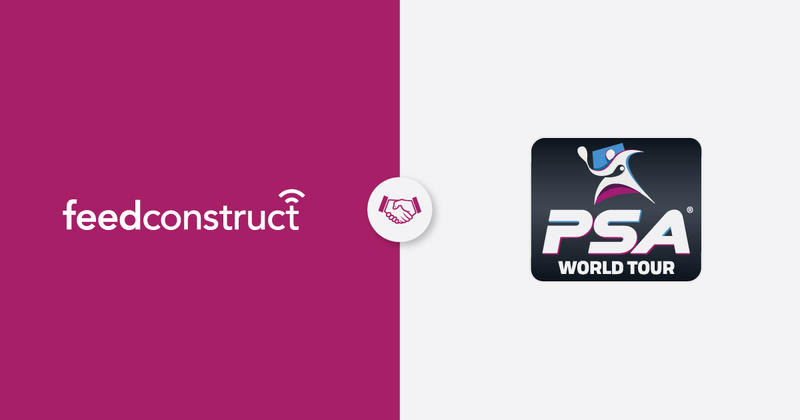 To attract more viewers and maintain the interest towards squash, PSA enters Friendship platform of FeedConstruct and delivers its live videos in a pay per match model. Now the sporting content is available among the huge FeedConstruct base of 300+ B2C providers. "We are pleased to establish a partnership with FeedConstruct and are looking forward to working with them over the coming months," said PSA Chief Commercial Officer Tommy Berden. "FeedConstruct have extensive experience in providing live video content to the gaming industry and we believe that squash - with its unpredictable nature and supremely talented athletes - will be a perfect fit for their platform." “We designed Friendship platform to be a global marketplace of unique sport and gaming videos. We happily welcome PSA on our platform with their video content of exciting and thrilling squash.” says Head of FeedConstruct, Samvel Nersisyan.